The pictures of one of the most talked about cars in 2015 have just surfaced online and the state in which it is shows that Audi will definitely debut it next year 2018. According to the plans made by the company concerning Audi e-tron quattro then, the car will be an all-electric SUV and it will be unveiled in 2018. Looking at the pictures that sufaced online, the car's features on the exterior include a small front grille, flanked by a pair of sharp headlights. 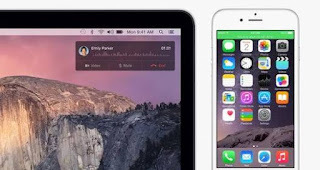 The company retained the subtle bonnet strakes and also, the bumper appears to have been toned down. 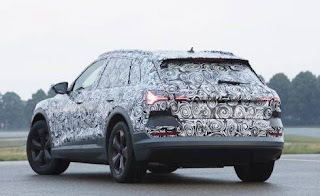 The near completion pictures of the Audi e-tron also show that the shape of the side Windows is carried over, giving it a lovely roofline that leads to a steeply-raked rear window. A closer look at the back of the car shows the wide, two-piece taillights. 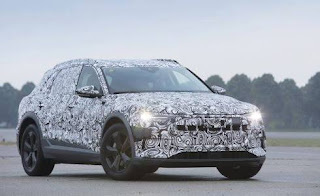 It is planned that this SUV will have a two-motor setup that has a total system output of up to 496 hp and 800 Nm, floor-mounted 96 kWh lithium-ion battery that will offer a range of 500 km on a single charge, and can be juiced up again with a 150 kW DC charging point (full charge in 50 minutes).